From silage and rotor cutter models to balers that can produce 300 to 2,200 pound bales, we have the round baler for your operation. 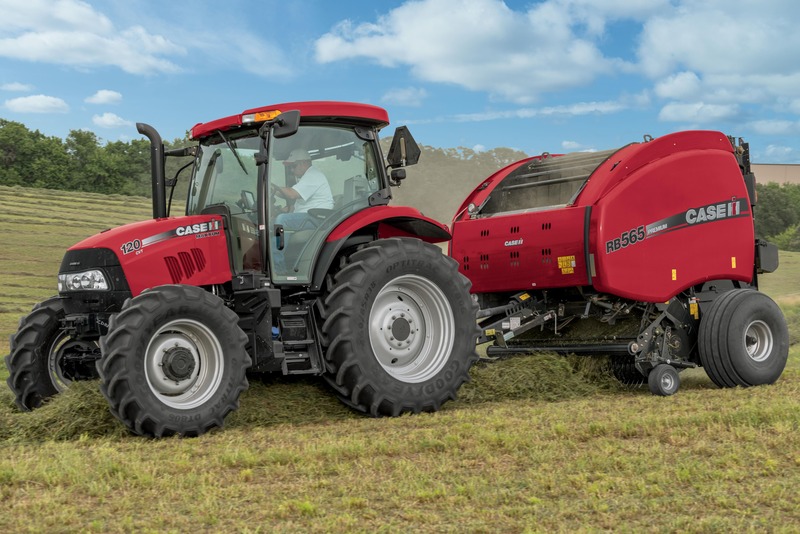 From wet silage to dry hay and stalks, the new Case IH RB565 Premium HD round baler gives you the flexibility to bale more crops. 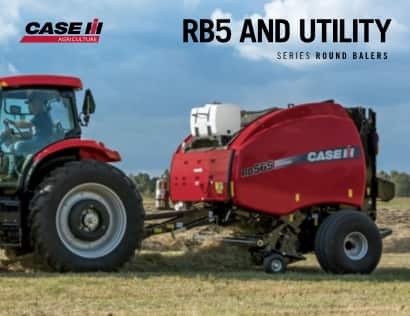 It builds on the robust design, larger platform, and improved bale-rejection system of the RB565 family with the addition of a higher torque load on the clutch cutout, a larger main gearbox with heavier output shaft and a larger roll drive chain. In short production windows, you'll have the power to bale more - even at higher moisture levels. Net wrap system and twine delivery improvements provide improved reliability with fewer adjustments. Belts can make or literally break your season. That's why Case IH has two kinds of belts to suit your needs and your budget - both made for long life. Monitor all baler functions through your choice of easy-to-use monitors that relay information from inside the bale chamber. This system controls the tractor stop, bale wrap and bale eject functions without any operator input required. Paired with a Puma® or Maxxum tractor, featuring a CVXDrive™ continuously variable, PowerDrive powershift or ActiveDrive 8 dual-clutch transmission, operators can take advantage of ISOBUS Class 3 controls to automatically stop the tractor when the target bale size is reached. After that, net wrap is automatically applied and, when the wrap cycle is complete, the baler tailgate raises and lowers automatically to eject each wrapped bale. Once the completed bale is ejected, the operator can simply move the tractor shuttle lever to the forward position and go. 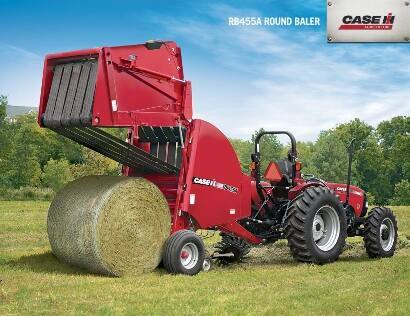 RB444 Round balers feature a wide pickup with gauge wheel, full-bale alarm, spring-loaded bale ramp, and in-camp guidance for bales up to 4ft in diameter. 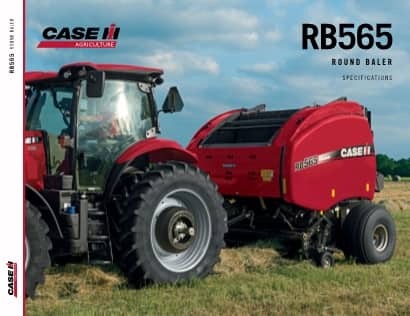 The RB455 is a baler designed for efficiency and reliability. It features a simplified system with durable components for operating in any environment.